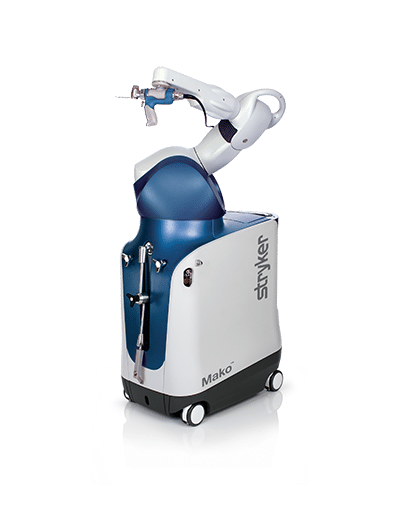 The Mako robotic-arm assisted surgery is the latest approach to joint replacement that offers the potential for a higher level of patient-specific implant alignment and positioning. The Mako system provides each patient with a personalized surgical experience based on their specific diagnosis and anatomy. The advanced robotic technology allows our surgeons to create a patient-specific 3D plan that uses a CT scan to guide the reconstruction plan, considering each patient’s specific anatomy and ligament balance. To schedule a consult call (501) 329-1510.